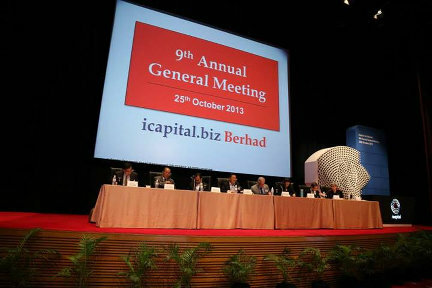 The AGM of icapital.biz Berhad, where like-minded share owners congregate. 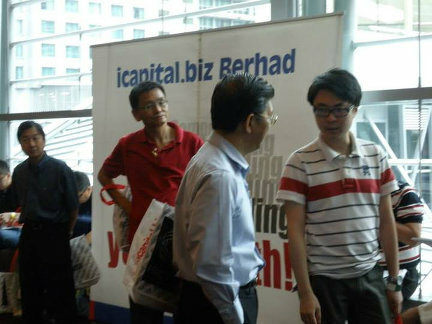 Do you know why we call our shareholders as “share owners” ? 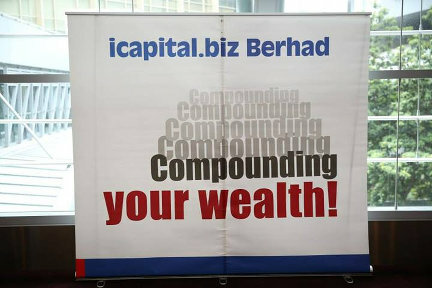 One of the reasons for the existence of icapital.biz Berhad is to let the power of compounding work for you! 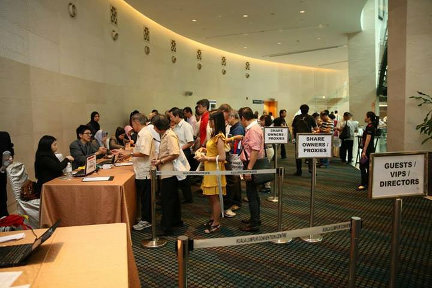 Share owners registering for the AGM. 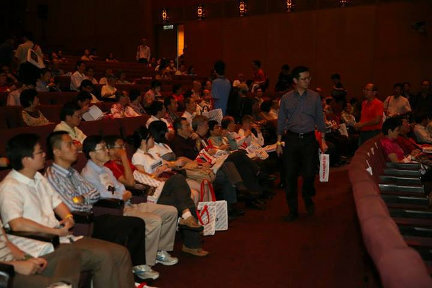 We are proud that our AGM turnout has always been much bigger than the typical AGMs. It is an annual event many look forward to even when the Budget speech is on. 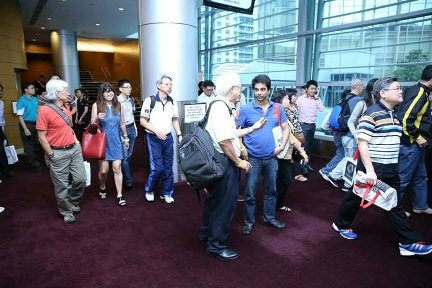 Happy and proud share owners arriving at the Plenary Hall, KL Convention Centre. 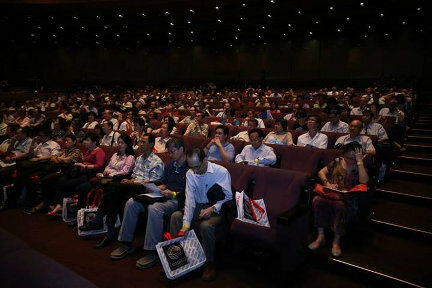 The AGM, even though held on a Friday afternoon, and clashed with the 2014 Budget, drew the same crowd as on a Saturday. 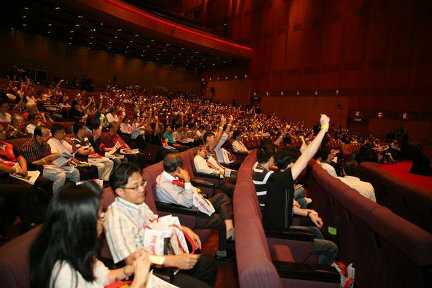 Enthusiastic share owners, from all over Malaysia and even from outside Malaysia, voting on the AGM resolutions. 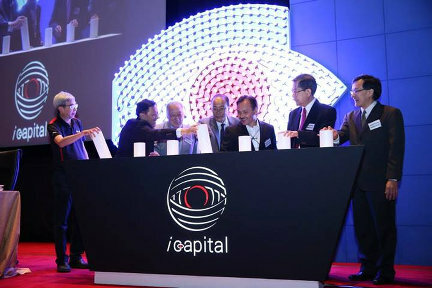 Board of Directors together with Teng Boo, Designated Person, officially launched the i Charity initiative. 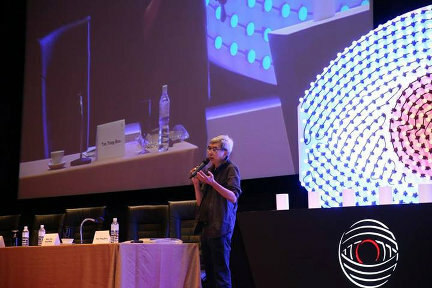 In line with its tradition, Teng Boo conducted an investment presentation, which included the fund’s portfolio and performance review, his outlook of the global and Malaysian economies. 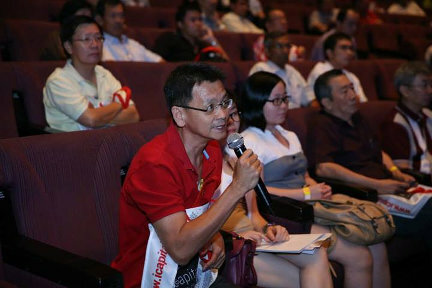 Here’s the beginning of an onslaught of questions during Teng Boo’s Q&A session. 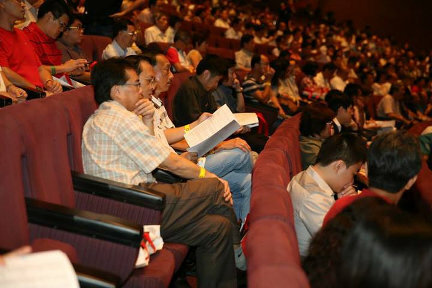 Let’s check the annual report and prepare my list of questions to ask Teng Boo later. 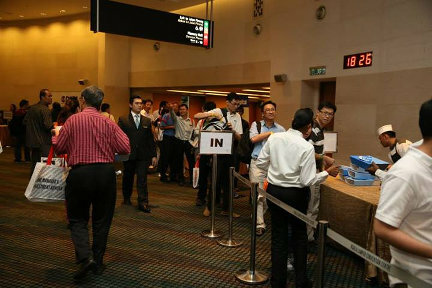 AGM attendees leaving the Plenary Hall in the evening after listening and asking for more than 3 hours All share owners and their guests were treated to a sumptuous dinner pack. Thank you all share owners and guests for coming. Hope to see you again next year!